Hand-cut vintage leather coasters salvaged from old industrial machine belts--gorgeous patina. Perfect for the man cave or as a rustic addition to your home decor. Measure approximately 3 3/4 square inches. That said, they are all slightly different in size shape and finish because they are all OOAK. Please note that these coasters are hand-waxed for water protection, but we can't guarantee that the coasters will be protected from all drips and spills. 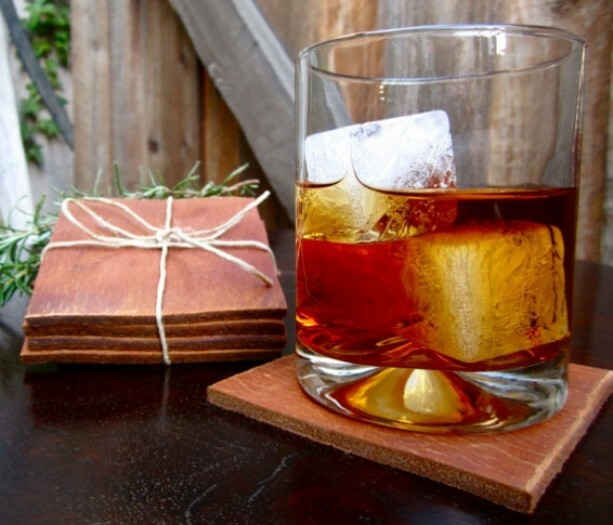 Enjoy the fact that the coasters will age gracefully with every use! Price is for a set of four coasters. Enjoy!